It is not often that I get to teach on the extreme East Coast but I have had the good fortune to do so twice within the last 2 months. 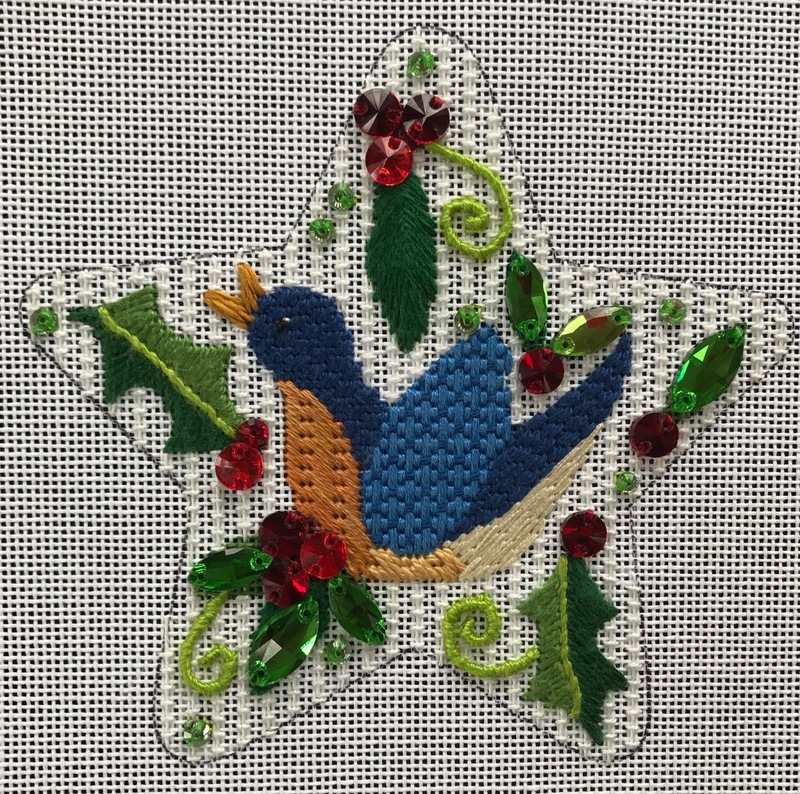 I taught in Delaware at the Winterthur Museum a few weeks ago and this weekend I'm teaching in Connecticut at The Enriched Stitch's Needlepoint in New England. I am so blessed and have loved the different atmosphere that surrounds me. My students are wonderful! It is so good to see old friends that I had not seen in several months and to meet and make new ones. 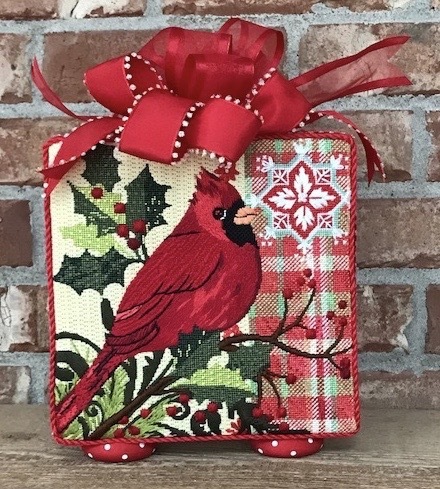 Teaching Maggie's Winter Cardinal was pure delight for me. The facilities were great! The food - what can I say! And the weather even cooperated. Next up for this fantastic guy will be the Space Needlers in Seattle, WA. You do not need to be a member of the guild. (Hmmm CT to WA - that's kinda extreme isn't it?). 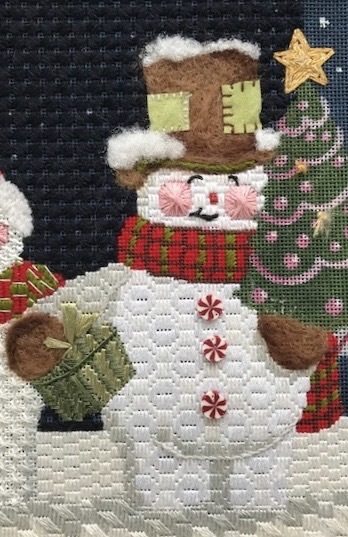 If you are closer to the Pacific Ocean than you are the Atlantic and are interested in stitching this guy, contact Kay Fite https://www.facebook.com/events/177702889506274 for information. Next up for me is Orlando, FL for a private retreat. I understand that the condo where we are hosted has balconies where the giraffes come peek in every now and then. It is the Wildlife safari area. This will be a break for me because it has been almost 20 years since I've been in the Disney proper. I'm sure a lot has changed but I have only wonderful memories and do not expect that to change. Getting ready to head over to The Enriched Stitch shop to leave a little revenue in the state. We'll see if I get into much trouble! I had a delightful week at home trying to play catch up. 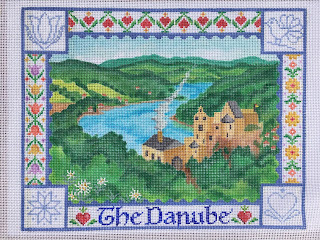 I have spent the time working on my class lessons for the upcoming Needlepoint in New England Retreat in Connecticut hosted by The Enriched Stitch. I am excited to be teaching the Winter Cardinal from Maggie. This has been one of my favorite pieces to stitch. It didn't hurt that I love cardinals. I am thrilled to see that some of my students are returning friends as well as an opportunity to get to meet some new ones. I am anxious to share the journey through the various techniques used on this piece. Shortly after I return from CT (2 days to be exact) I get to jump on another plane and head to Florida for a private retreat. These are always fun! I know it will be exciting and hopefully somewhat restful. Somewhere in there we are working on the upcoming classes for mid-May. In addition to the regularly scheduled classes, we are adding a couple new ones. 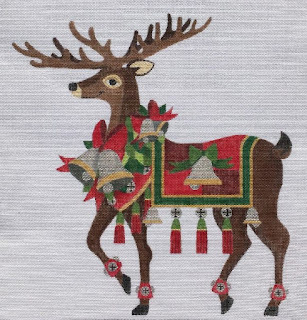 Raymond Crawford's Reindeer Series has us working on the Reindeer with the Bells Blanket. If you would like to participate there is still time to join. Just email me at duodesignsinc@yahoo.com. We can assist with getting your canvas and supplies if you do not have a LNS close by or if you cannot find one in stock. Invoicing is currently in progress for this handsome fellow. There are 4 compact lessons that are $150 for the 4-lesson packet. 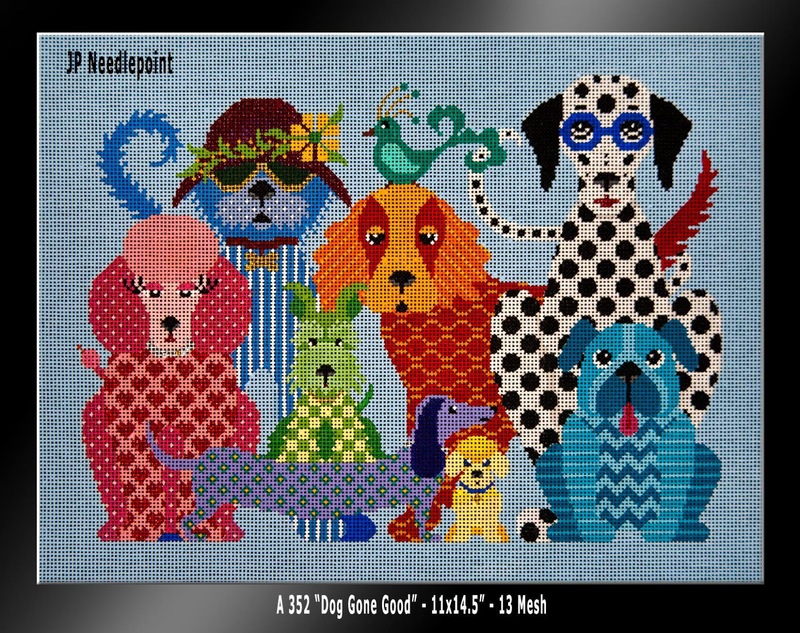 Next up is the long awaited Dog Gone Good from JP Needlepoint. And last for the newbies is the Raymond Crawford Christmas Stars - 12 Days of Christmas. This month we will be doing the Day 5 - Five Golden Rings. In June we will be teaching a wonderful butterfly canvas at Chandail in Houston. If you are in the area stop in to see Saira and see if she has any openings for you to join us. We will have a one-day class on Beading on Needlework and then we will work on the fabulous canvas where we will incorporate some of the beading techniques taught the day before the class. Come join us. Well, it finally is not snowing here in Central Kentucky and the sun is shining. It is beautiful day. Hope your day is just as nice. Have a great weekend. ANOTHER EVENT COME AND GONE! ANG ENCORE! 2018 Houston sure did pass quickly. The facility of the Westin Oaks at the Galleria was suburb. And the staff could not have been greater. They took very good care of us. I was particularly impressed by the room cleaning staff. I had occasion to run up to my room and the cleaning staff was in my room. The door was slightly ajar and the cart blocked the doorway. I knocked on the door and proceeded to enter. Or so I thought. The lady was there immediately blocking me and said to me to please use my pass key. I was thrilled! Isn't that wonderful? I had my first experience with elevators that do not have buttons on the interior of the cars. That was way cool. It rained most of the time we were there. However, we were in the Galleria - duh! And what is even worse - we were next door to The Cheesecake Factory. Oh goodness - no wonder I can never lose weight. I loved the smaller classes. They afforded a totally different atmosphere to the classroom setting. Much more intimate - if you wanted. Very sharing. Also allowed much more one-on-one time when discussing a particular technique. I look forward to future Encore! adventures. Be sure to check out the next one. While I'm pondering I'll talk a little about upcoming events. In just a few days I'll be heading to Connecticut to stitch at the Needlepoint in New England Retreat. The Winter Cardinal that I am teaching there has been one of my favorite pieces of work this year. I'm back home now concentrating on the lessons for mid-April. Today (I'm late posting) is the big reveal of some great classes. Be sure to check it out. Okay, I can't stand it. Can you see the subtle snowflakes falling in the background. They have a slight sparkle! I love the way this turned out. Some students chose to place real jingle bells over some of the decorations. Personal choice. Another fun area is on the Snow Happy Trio canvas. We finished the middle Snow Person this month. 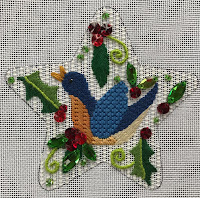 In the Quickie Series - Christmas Stars - 12 Days of Christmas, we finished Day 4 - 4 Calling birds. We introduced the second cat on Catitudes as well. Meet Miss Glamorous Gourmet! Still lots going on over at our Online Mystery Classes! 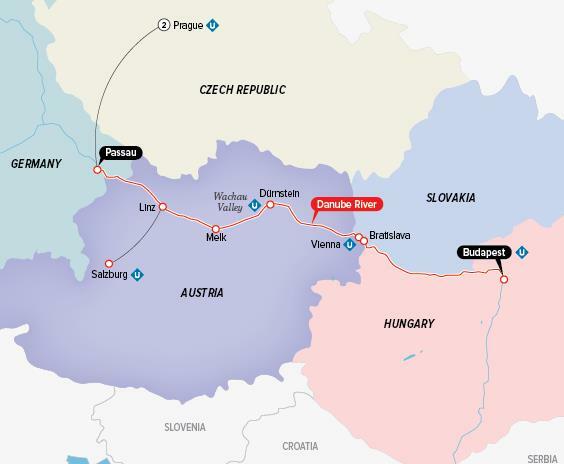 Times are getting closer for our wonderful Stitching Down the Danube Riverboat Stitching Cruise! Just made airline reservations! Becomes more real each day! Still room for more so just check over at Needles 'N Fins secret Facebook Page and download the brochure for this great adventure. Join stitchers who share your passion for our art! Such a great journey and bonding! Four countries and endless hours of adventures! I was fortunate enough to be invited to teach at this event this year. It is held in Houston, TX. And we are right in the middle of everything. For those of you who don't get here often, there are plenty of very nice needlepoint shops to help replenish your stash! Go have a look see! We have a delightful group of women taking classes from Sue Reed, Toni Gerdes and me. Encore! means just that - we are teaching pieces that have a popular history. Love the group! Look into attending next year when the details are available! The small, intimate gathering is wonderful for building new friendships! After this class is over I will be at home for a couple of weeks before I head off to my next adventure. 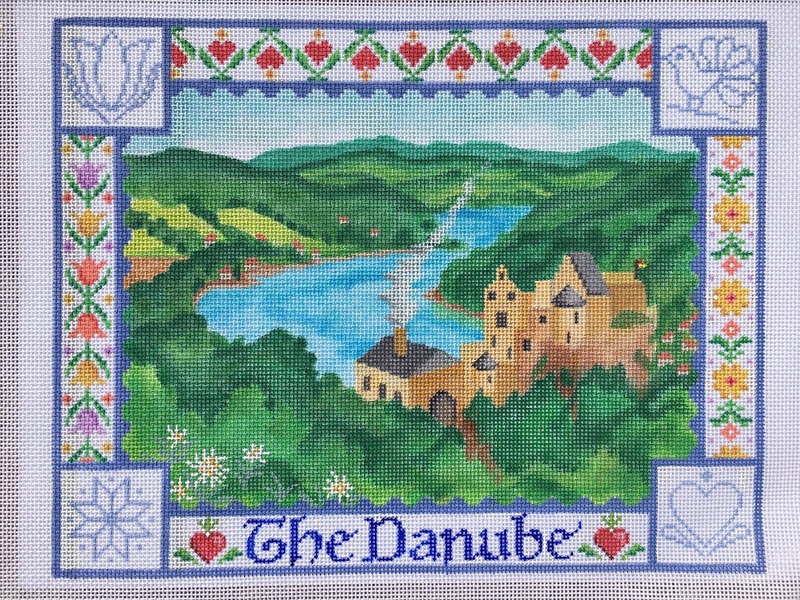 On the 27th of April I will be teaching at the Needlepoint of New England Retreat hosted by the Enriched Stitch in CT. I am looking forward to this event. I will be teaching the Winter Cardinal from Maggie. This has been one of my favorite pieces recently and I am very pleased that I will have the opportunity to teach it even more. This riverboat stitching cruise scheduled for October 21-31, 2018 is becoming more real day by day. We recently made our airline reservations! Can't get more real than that can you? We are so looking forward to sharing this wonderful adventure with the participants. While cruising the Danube we will have the delightful opportunity to view fantastic sights in 4 countries: Czech Republic, Germany, Austria and Hungary. And our down time (ha!ha!) 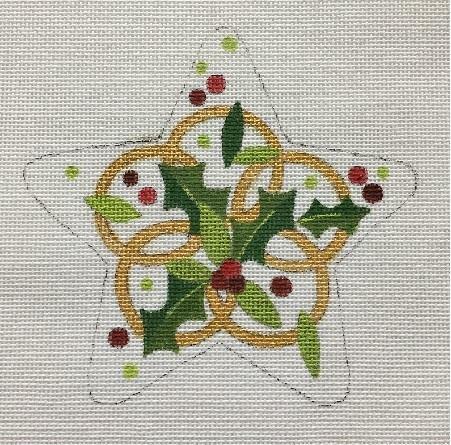 we will be busily stitching away to our hearts' content on various projects! We're getting ready to welcome two new classes for our Online Participants. First up is the ever so fun piece Dog Gone Good from JP Needlepoint. These guys look to be just as much fun as their companion piece the Catitudes. Oh dear! Look at those faces! Can't wait to share my ideas with you. If you are interested in this class just email me at duodesignsinc@yahoo.com and we'll get you all signed up. The first lesson is scheduled for May 15. For those of you new to our Online Mystery Class set up, most (notice I said most) classes are for 6 months with one lesson a month posted in a secret Facebook page. The 6-lesson packet is $150. We encourage you to order your canvas and get your materials from your LNS. However, if you need assistance we work with some shops to help you add to your stash! 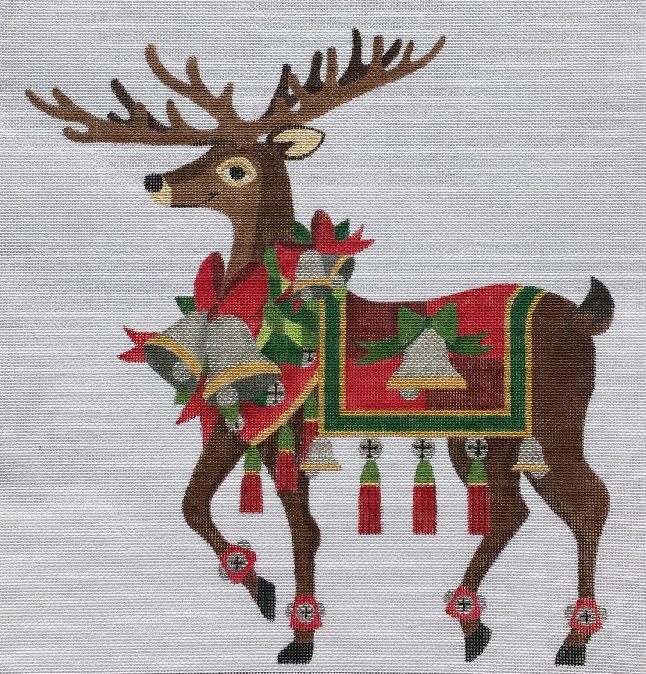 Next up is the second in the Reindeer Series from Raymond Crawford - the one with the Bell Blanket. 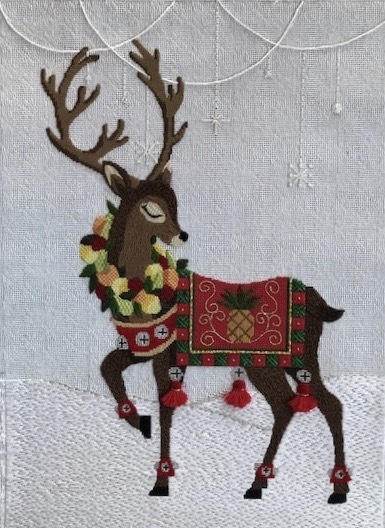 We will be finishing the first one - Reindeer with the Pineapple Blanket this month and will be sharing pictures in the next blog. This series is a little different. The lessons are jammed pack into 4 monthly releases instead of 6. The price is the same being the 4-lesson packet is $150. There are shared stitches and techniques across the series of 4 that we are featuring. We viewed the group as a 'set' and so wanted to keep the backgrounds and colors as simple as possible. If you would like to join the class just email us at duodesignsinc@yahoo.com and we'll put you in line for the class invoicing.